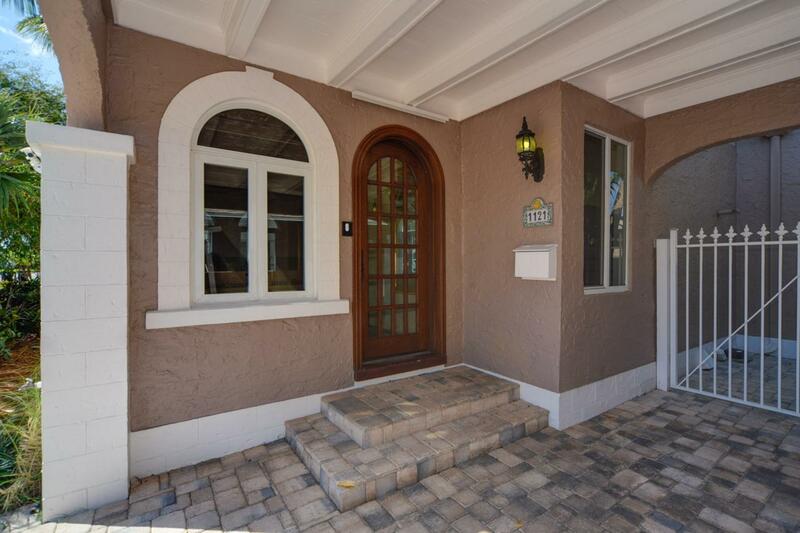 This impeccably renovated historic residence retains much of it's original CHARM and includes modern 21st century conveniences. Amenities include over 2,912 sf of living space, 3 bedrooms, 2 full baths, powder room, impact windows, fireplace, original (oak)hardwood floors, Venetian plaster walls, custom kitchen w/high quality finishes: chocolate glazed cherry cabinets, granite counters & backsplash, premium high-end appliances: Thermador double ovens w/convection & microwave, KitchenAid refrigerator, Bosch dishwasher, Dacor (5) burner gas cook top and warming drawer, Frigidaire wine cooler w/Winestat temp control, high efficiency Maytag Neptune W/D PLUS a heated pool/spa and detached pool house with full bath and kitchenette.Other features include a fantastic master suite overlooking the pool area complete with walk-in closet, separate shoe closet, master bath w/dual vessel sinks atop granite counters and a deep jet-tub. 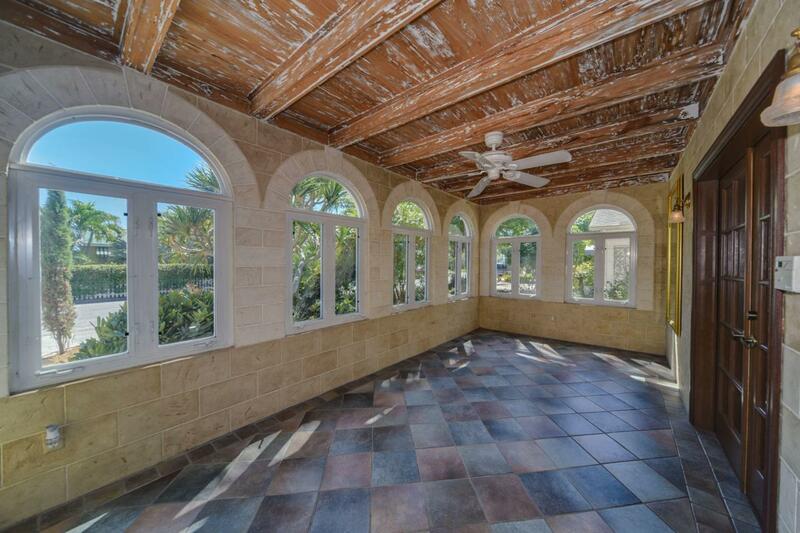 Other treasures include: classic sunroom with arched windows, pecky cypress ceiling, French doors, and faux stone painted walls. Just inside the living room are built-in book shelves to hold your entire library, original wall sconces, built-in banquette, recessed lighting, crown molding, lots of arches, and East and West 2nd floor private balconies. 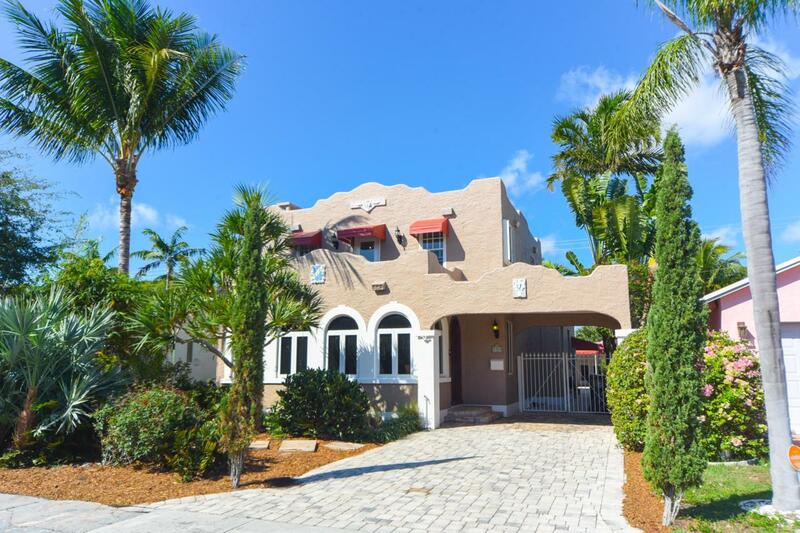 This private compound is located just blocks to downtown and its' quaint shops, restaurants, post-office, banks, and nightlife. 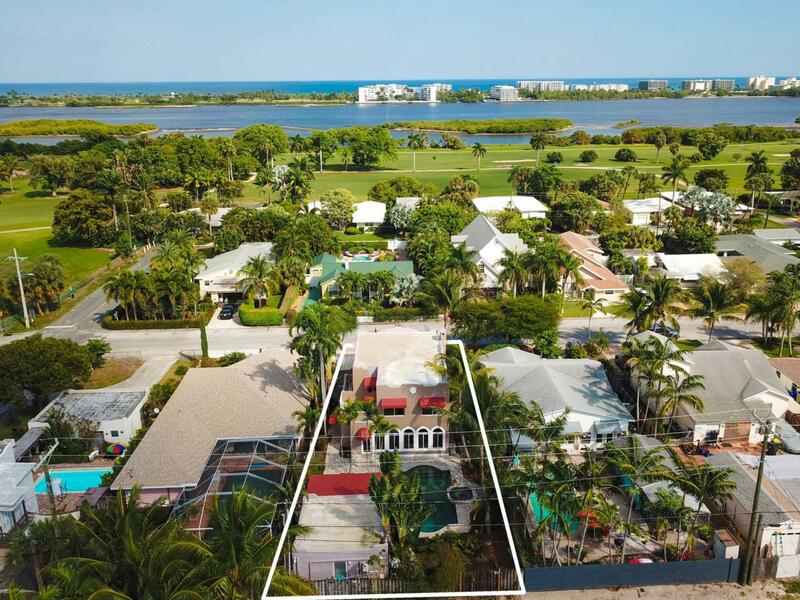 Across the street is LW's municipal 18-hole golf course and minutes away you'll find Bryant Park, LW beach, boat ramps, CityPlace, the island of Palm Beach, and an international airport! Listing provided courtesy of Heritage International Realty.